Jeff Schechtman's "Specific Gravity": What do woman want? In the eighty years of research since, have we come any closer to an answer? 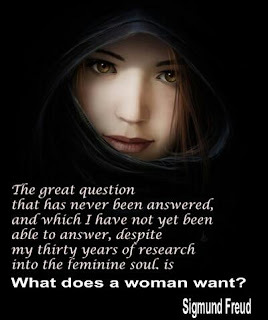 And are the things that woman wanted then, even remotely similar to the post feminist age we live in today? Betsy Prioleau thinks so. And in her new work Swoon: Great Seducers and Why Women Love Them she gets to heart of feminine desire. George Saunders - "The Tenth of December"
You can go home again..